Has the Commonwealth Government got its priorities right? This week the Commonwealth Government settled a nuisance class action with 1,900 asylum seekers stuck on Manus Island detention centre. Detainees alleged they were mistreated and deprived of food and medical aid. Manus Island is a stinking hot, mosquito infested remote island off the north coast of Papua New Guinea (PNG). It’s in the worst part of the Pacific Ocean in the middle of nowhere. It’s not the kind of place that you’d go for your annual holidays. It’s not a pleasant place. This is why the Commonwealth Government chose the place to relocate boat people caught trying to reach the coast of Australia. Being detained there is enough to test anyone’s patience and resolve. You’d have to be desperate to stay on Manus Island if you had a choice. The financial settlement is worth a total of $70 million. The Australian Government is one of many defendants blamed for mistreating detainees on the island. Other defendants include Transfield Services (now Broadspectrum) and G4S Australia. We’re not told how the settlement will be split amongst the main defendants, but we can be sure the Commonwealth Government will be contributing the lion’s share. 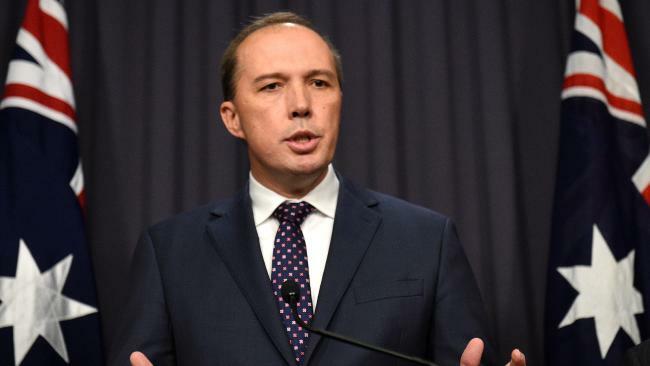 The Government will be paying off the detainees without admitting any legal liability or blame. Detainees (the claimants) will be pocketing $36,000 each. Those who spent longer on the island will get a bit more and others maybe a bit less. The hard truth is the Commonwealth chose to pay 1,900 undocumented foreigners who entered Australia illegally. The Government has chosen to strike a settlement rather than have the whole of Australia hear all the horrid details. I can understand the Commonwealth striking this deal if detainees had to agree to get on a plane and be deported to Iran. We don’t know the terms of the settlement. That’s a secret. We don’t know if voluntary deportation is a condition of accepting the money. If it is, the deal will solve a big problem for the Commonwealth. That is, what to do with 1,900 detainees who the PNG Supreme Court says aren’t supposed to be on PNG sovereign territory. If deportation was not on the table, what does the Commonwealth has to say for itself? All victims of abuse should be compensated. So why can’t the Commonwealth look after the needs of institutional child abuse victims? Why hasn’t the Commonwealth managed to get even one single State or church to opt into its child abuse National Redress Scheme? The National Redress Scheme is not going to solve all the problems of uncompensated abuse victims. The maximum payout will be limited to $150,000. Most victims will get only $10,000 to $50,000. Institutional abuse survivors should be rightly incensed by the Manus Island settlement. The Commonwealth should put Australians first. When is the Commonwealth going to recognise the victims of Institutional abuse? If you have been sexually abused by a church or institution, contact my team today.